Do you know any Businesses that could Benefit from Social Media Advertisement and Management? Join our gPhoebe Family and Earn Excellent Commissions + Residuals on High Deal Values!! 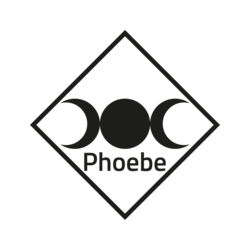 gPhoebe is a Social Media Management agency aiming to help businesses succeed on the online arena. We aim to work with companies of any size offering a wide range of services in the web management filed from developing websites to updating your twitter though to working with influencers to get your brand out there. The most important aspect for us is that our client shares our aspirations to constantly grow and develop. We at gPhoebe love to work with people who share the same drive as us to get up and do what they really love in a very relax and friendly environment. We like to focus on personal strengths of each sales rep and allow them to excel in the method they see fit. Some may prefer a one on one meeting with the clients involved to market and sell our services, while others may see it more convenient to communicate with the clients by means of email or telephone. We are very open to any style of selling and we strongly encourage cross-team communication in the whole sales team to learn from others and strengthen each others and personal skills.